Seattle Parks and Recreation (SPR) invites the community to the final public meeting for the Greenwood Park addition project on Wednesday, August 15, 2018 from 6 to 8 p.m. Join us at the Greenwood Park addition, 8805 Fremont Ave. N.
The final schematic design is based on input we heard from our public process and responds to input from the three concepts presented in early June. The community is encouraged to attend the public meeting in the park to review the final schematic design. It is an opportunity to meet the design team, and provide final feedback. The design of the new parcel builds upon several years of work and design from the community process led by Vision Greenwood. It will incorporate accessibility features in compliance with the Americans with Disabilities Act and reflects the community input received. For more information or for meeting notification translations please visit http://www.seattle.gov/parks/about-us/current-projects/greenwood-park-addition. For questions about the project or if you need an interpreter or accommodations please contact Katie Bang at katie.bang@seattle.gov or 206-6844-9268. 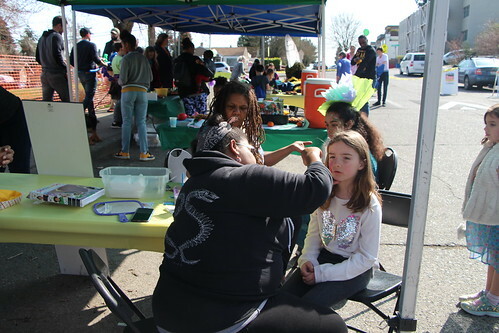 Thank you to the North Seattle Boys and Girls Club and Vision Greenwood for their partnership. 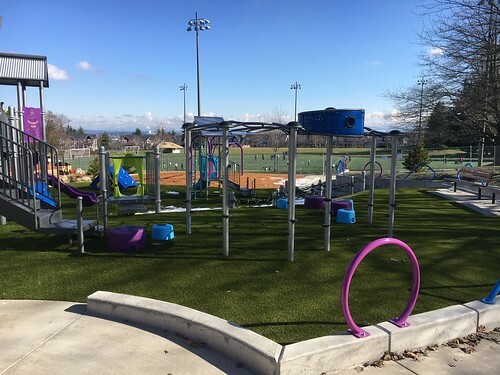 Seattle Parks and Recreation (SPR) invites the community to participate in the Wallingford Playfield Play Area meeting on Tuesday, July 10, 2018 from 6 to 7:30 p.m. Please join the project planner and landscape architect at the Wallingford Boys and Girls Club, 1310 N. 45th St.
Wallingford Play Area is located in the northeast corner of Wallingford Playfield, 4219 Wallingford Ave N. The goal of the project is to replace the current play equipment with new play equipment that will meet current safety standards and assure accessibility to children of all abilities, and to improve access to the play area in compliance with the Americans with Disabilities Act (ADA). 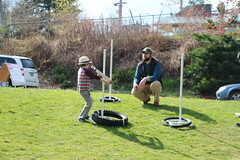 For more information please visit: http://www.seattle.gov/parks/about-us/current-projects/wallingford-playfield-play-area-renovation. For questions about the project or if you need an interpreter or accommodations please contact Libby Hudson at 206-256-5988 or Libby.hudson@seattle.gov. Seattle Parks and Recreation (SPR) invites the community to participate in the E. C. Hughes Playground renovation project on Wednesday, June 13, 2018 from 1 to 3 p.m. Please join the project team in the park at 2805 SW Holden St. to review the preferred design and provide input. SPR is hosting this final meeting to discuss the renovation project and gather your input. 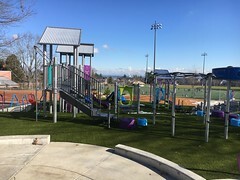 The play area renovation project will update aging equipment with play structures accessible to children of all abilities, ages 2-5 and 5-12. The intent is to enhance the safety and play area accessibility in compliance with the Americans with Disabilities Act (ADA). Please note that the wading pool is not part of this project. Thank you to everyone who participated in the play area survey and attended the first meeting in April 2018. Thank you to the Southwest Teen Life Center for partnering with us on this playground renovation. Southwest Teen Life Center offers great programs including the Late Night Program. Please visit www.facebook.com/SouthwestTeenLifeCenter/ for more information on their programs. 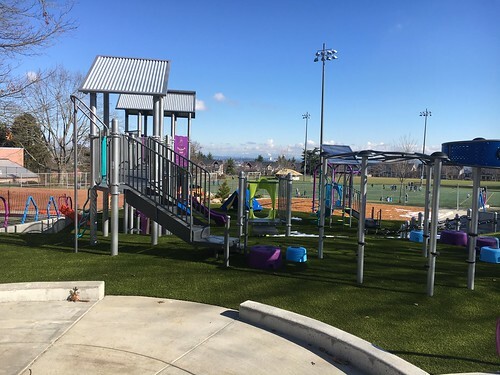 Seattle Parks and Recreation (SPR) invites the community to a meeting on Thursday, May 24, 2018 to review the park design and provide feedback on the design for the Christie Park expansion project. 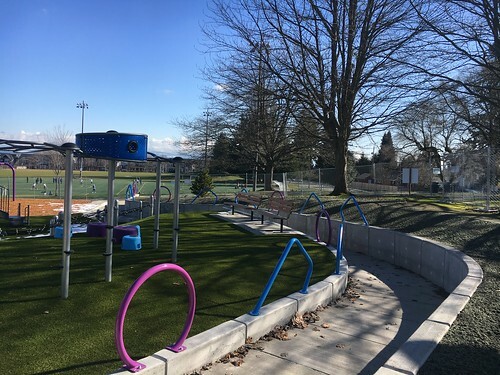 Join SPR’s project design team from 6 to 7:30 p.m. at the University of Washington, Gould Hall Auditorium 322 to learn about the park expansion project and to provide design review. Neighbors of all ages are encouraged to attend. Staff will provide light refreshments and children’s activities. Gould Hall is located at 3950 University Way NE. Thank you to everyone that attended the November 2018 meeting. The design works to address safety, accessibility and promoting park activities. SPR purchased the .11-acre site directly adjacent and south of Christie Park, 4257 9th Ave. NE, in 2012 to increase the open space for the University District urban village. The design of the addition will incorporate accessibility in compliance with the Americans with Disabilities Act and will provide additional open space within this high-density neighborhood. Thank you to the U-District Partnership and the Friends of Christie Park for their support of this project and assistance in this meeting. If you have questions about the project or if you need an interpreter or accommodations, please contact Karimah Cooper Edwards at 206-233-0063 or Karimah.edwards@seattle.gov. For additional information on the project please visit http://www.seattle.gov/parks/about-us/current-projects/christie-park-addition. Seattle Parks and Recreation (SPR) invites the community to participate in the E. C. Hughes Playground renovation project on Thursday, April 19, 2018 from 5 to 6:30 p.m. Please join the project planner and landscape architect at Southwest Teen Life Center, 2801 SW Thistle St.
SPR is hosting two meetings to inform you about the project and gather your input. The first meeting at the Southwest Teen Life Center will be an opportunity to learn about the project and provide input on play equipment and play area design. The second meeting will be held at the park June 13. It will be an opportunity to review the preferred design and provide input. E.C. Hughes Playground is located in West Seattle at 2803 SW Holden St. 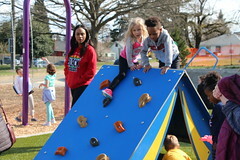 The play area renovation project will update aging equipment with play structures accessible to children of all abilities, ages 2-5 and 5-12. The intent is to enhance the safety and play area accessibility in compliance with the Americans with Disabilities Act (ADA). Please note that the wading pool at the park is not part of this playground renovation project.